French president Emmanuel Macron delivered on his main campaign promises. Please consider what happened next. A ‘gilets jaunes’ (yellow vests) protest is underway in France. The Financial Times reports French ‘gilets jaunes’ show pain of Macron’s tax policy. The pain is easily condensed down to this chart. 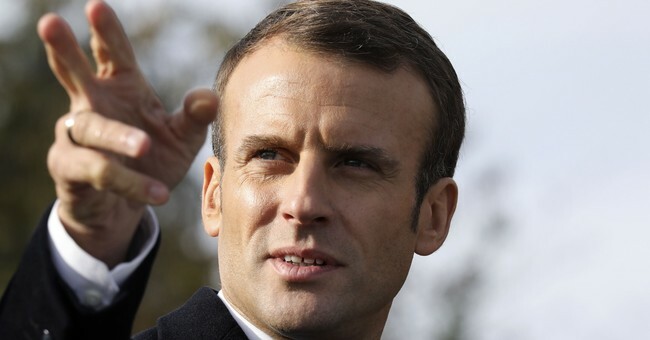 Did not Macron deliver his campaign pledge on a new French revolution? Why should anyone be upset? Fancy that. A politician actually delivered his promise and people are upset. Macron promised more Europe, more solidarity, and more taxes. He delivered! Macron delivered his main campaign pledge. And now the masses are upset. They want a government attack on global warming, but not if they have to pay for it! The "Inferno" chart courtesy of DOMINIC LAWSON: Why it's hard not to gloat at the travails of the strutting French president who called Brexiteers liars. Macron actually delivered on his campaign pledges. Yes, that's quite amazing, especially his promise of a revolution. Kudos offered. But here are the results. Pardon, the error. That's not quite accurate. In actuality, Macron's popularity hits new low amid French protests. It's best not to deliver what you actually promise.